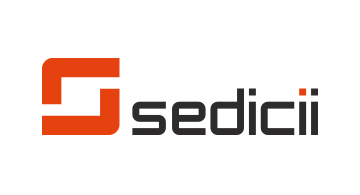 The Sedicii Network is a global identity network which has gained global recognition for its pioneering technology from The World Economic Forum. Sedicii’s ground breaking technology enables real-time identity updates from trusted identity providers (governments, banks, telco’s, utilities), ensuring that businesses can react quickly to new information. It is designed to provide the highest possible levels of privacy where data is never exchanged or copied. Instead it is always verified using an advanced form of cryptography, known as zero-knowledge proofs (ZKPs). Sedicii's Zero-Knowledge Proof (ZKP) is essentially technology that allows two entities (people, organisations, devices) to prove to each other that they have the same data without the need to expose any data to each other. The technology is fully compliant with all data protection and due diligence legislation and can be applied to a wide range of information, in particular to personal identity data such as passport details, birthdate, gender, nationality and address details. Improvements in ZKP technology can now deliver the next layer of cost reduction and risk reduction which improves operational capability and efficiency. ZKP can be used to anonymize the transactions between address pairs in a blockchain. At Sedicii, we believe that the digital asset economy requires a new foundation for public trust and that only public blockchains can engender that trust. Our ground-breaking privacy technology underpins this new trust model, by guaranteeing that no personally identifiable information or private business data is ever recorded on the blockchain. ZKP can be used to anonymize the transactions between address pairs in a blockchain. In an anonymous transaction, both the sender and receiver can prove, via ZKP, ownership of their corresponding addresses in the chain without revealing them. Sedicii differentiates between two types of anonymity in blockchains; that which we refer to as trusted and untrusted anonymity. We define a trusted, anonymous blockchain as a blockchain that is accountable and in which users have verified trusted identities whereas with untrusted anonymity the users in the blockchain have no guarantees that an address corresponds to a real person at all. Verified digital identities allow companies, individuals and governments to be confident about who they are interacting with. Blockchains that track digital asset ownership can take this public trust to a new level. This new level of trust is what will allow digital assets to power new business models.